How do tradespeople feel about sales? 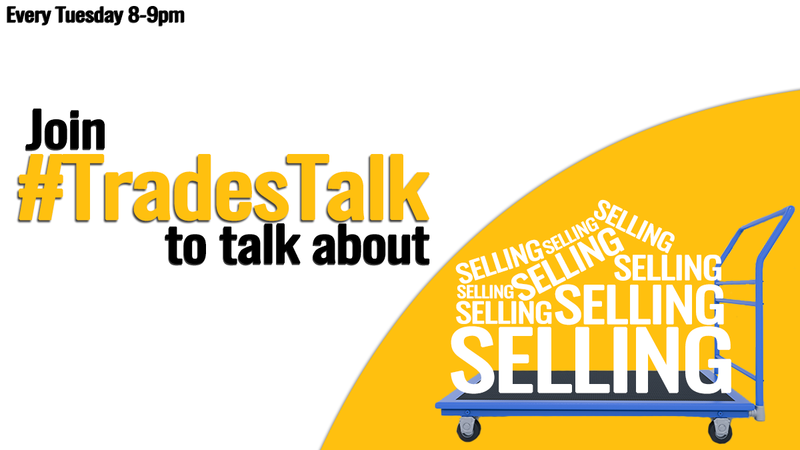 In this week’s #TradesTalk over on Twitter, the topic up for discussion was sales and selling – and whether the trades think of themselves as salespeople for their businesses. Here’s a round-up of the best bits. And if you want to get involved in the weekly chats with tradespeople around the UK, just follow @TradesTalk and join in from 8pm every Tuesday. Best course I have been on in my career has to be a 2 day sales and marketing course. I want to go on another!